Make the most of your island vacation with a full-day, private, custom Vsan tour that takes you all over Oahu. Avoid the crowds and the tourist traps with a fun and flexible adventure. 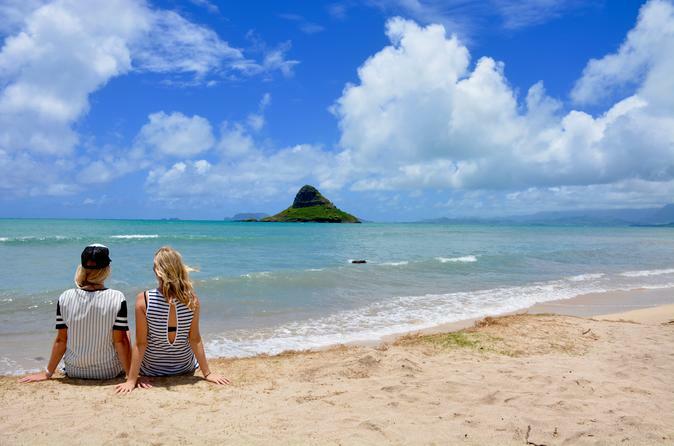 Spend the day doing the types of activities you most want to experience on Oahu, all with a tour guide who knows the island and is passionate about sharing it with others. Simply let your guide know the types of activities you'd like to do, and he/she will create a tour that's completely catered to your interests. Options include hiking, snorkeling, and places of historic or cultural significance. Your tour begins with a morning pick-up from any location on Oahu. While departure time is usually 7am, this completely customizable tour allows for flexibility to choose a start that fits with your schedule. As you begin your adventure, the guide will discuss the plans for the day to make sure you spend it doing the activities that sound the best for your ohana (family). Your guide is passionate about sharing the island, and he or she will share stories and tidbits throughout the entire tour. When it's time for lunch—which you'll spend on your own—your guide can offer several different local options to choose from. After lunch the adventure continues, and the tour eventually draws to a close when you're driven to your hotel.